The Lexington Council Garden Clubs invites you for a “Peek Behind the Garden Gate” on Saturday, June 6, from 10-5, and Sunday, June 7, from 1-5. 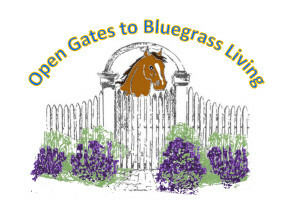 The Council’s 2015 Open Gates to Bluegrass Living Garden Tour will showcase nine diverse gardens, from the suburbs to a serene rural setting. Whether you’re a gardener, a homeowner, or just enjoy beauty and tranquility, come join us, rain or shine, to enjoy a visit to some of Lexington’s most inspiring gardens. Tickets are $15.00.